More and more greyhounds -- retired racers -- are showing up at family homes to begin new lives as pets. This is the happy result of efforts by organizations like Greyhound Pets of America and changing attitudes of the public. People across the country are realizing that these stately animals actually make good pets. The greyhound is an ancient breed, as evidenced by Egyptian tomb drawings that date back to 2900 BC. They first came to America with Spanish explorers in the 1500s. They are tall and lean -- the fastest breed of dog that can reach 45 m.p.h. in a few strides. Only one animal -- the cheetah -- can accelerate faster. Fully grown greyhounds reach 60 to 70 pounds and live about 12 years. Racing greyhounds usually retire after age two to six. They have a very short, smooth coat, are low-shedding and are counted among the favorite dogs for people with allergies. In the 1980s an organized greyhound-rescue movement began to take shape. The idea was to take dogs from the tracks when their racing days were over and adopt them out to good people who were looking for pets. The movement grew and today some 80,000 retired greyhounds have made the transition from athlete to a family pet. There are numerous organizations finding homes for these dogs, but Greyhound Pets of America, established in 1987, is the leader of the pack. Those interested in adoption should contact the GPA first. Another surprise about greyhounds is that their blood is special -- a quality that makes many of them eligible to be universal donors for veterinary blood services. 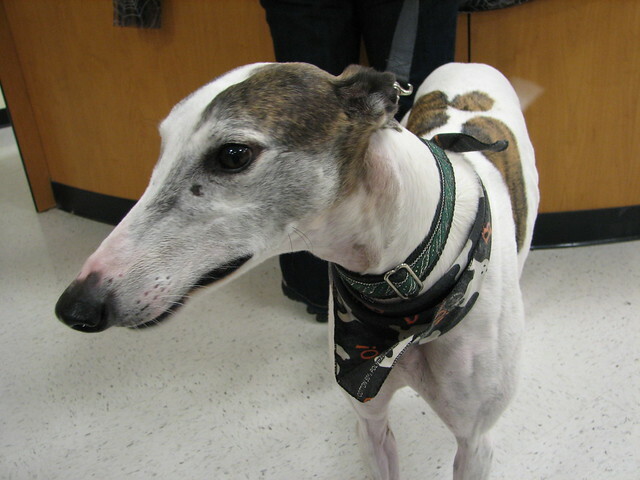 Greyhound blood has a higher red cell count, lower white cell count, and lower platelet count. Vets often offer free care to these blood donors. The greyhound is a pure breed of dog that is sleek; an elite breed of dog that was generally bred for hunting game. Throughout the years, this dog breed has become more known for its racing capabilities and companionship. Greyhounds are the fastest dog on the planet; the only other land animal that is faster is the cheetah. They can reach the speed of 45 mph in as little as 1.5 seconds. It's a thing of beauty - if you've never seen a greyhound run, you are missing a very special sight. With a Greyhound, you get a regal and valuable dog that has proven to have excellence in their profession - whether that is racing, hunting, or being a loyal friend and companion. Did you know that there is a famous Greyhound on TV? He is featured on the popular show, The Simpsons. Santa's Little Helper is very much like a real greyhound - lean, affectionate, gentle, and loves other animals. Greyhound's date as far back as 4000 B.C. where images have been found in Egyptian tombs. Historically, Greyhounds were mainly used as hunting animals because of their keen eyesight - they are able to spot prey quickly. They were only introduced to England sometime during the fifth or sixth century. During the early 1920s, which was a time of great wealth, fashion, and excess, modern Greyhound racing became a popular sport in the United States. By 1926 it was becoming fashionable in England as well. Males are generally 28 to 30 inches in height and their weight range is 70 to 100 pounds. Females are smaller, usually 27 or 28 inches high at the shoulder, and weigh between 60 and 75 pounds. 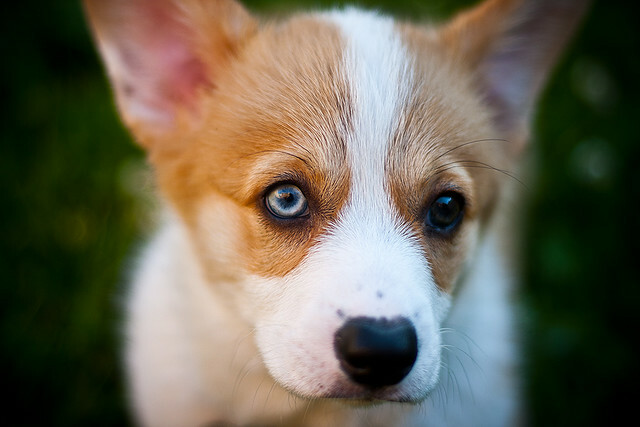 They are a short-haired which comes in many different colors - white, black, fawn, red, brindle, and even blue (which is actually gray); or you can find them in a combination of any of these colors. Although many people may think that they are called Greyhounds because of the blue/gray fur but that is not correct. Actually, finding a "blue" greyhound is very difficult as that is the rarest of all the colors. As they have short fur, no undercoat, and no fat on their body, they can be very susceptible to weather extremes. They are not outdoor dogs, they need the shelter from harsh weather as well as companionship. Their long legs and aerodynamic body shape is what makes them such great and fast runners - making them perfect for racing. And they love to race and run almost as much as they love to lounge around and sleep. Although greyhounds are extremely fast dogs, and the second fastest land animals on the planet, they are not high-energy dogs. Greyhounds are sprinters, not marathon-runners. Even though they love to run they do not require frequent exercise. They enjoy walks and a run around the yard which gets rid of the occasional bout of excess energy, but the walks and runs are not a necessity. When they do run, it is a very fast run over a short distance then they are "spent" for the rest of the day. Most Greyhounds are content to sleep the day away. If you like to take daily walks, they'll enjoy them too but they aren't necessary. Whatever your schedule, they'll adapt to it. 99% of Greyhounds are quiet and exceedingly gentle. They are commonly referred to as "forty-five miles per hour couch potatoes". While sleeping, many Greyhounds prefer to lie on their back with their four legs sticking straight up in the air; this position is known as "cockroaching"(or more commonly, a roach). Greyhounds are not prone to many of the hereditary diseases and illnesses of other large breeds of dog. One diseases that they are prone to is cancer like most other dog breeds. The average lifespan is 10 to 13 years. Because they are very lean -- with little to no fat on their bodies, it is understandable that they don't like to lay on hard surfaces. They are most comfortable on nice cushy dog beds. The physiology and anatomy of Greyhounds is very unique. For this reason, Greyhound owners need to be aware of and take care with medications and anesthesia. They are not able to metabolize barbiturate-based anesthesia. Greyhounds are very gentle and have a mild temperament. They make fantastic pets. If you adopt a retired racing Greyhound, you'll see that they make an exceptional pet, and the bonus is that they are already house-trained with the exception of knowing how to do stairs. But they learn quickly. They are pack-oriented dogs, which means that they will quickly adopt a human master into their life and obey dutifully. With their gentle nature, they generally get along very well with other animals in the household and all family members. Having said that, if you have small children or small animals such as a cat, it is important that you adopt one that is not high-prey. Some Greyhounds have a very high-prey drive which would make it unsafe for small animals and if the prey-drive is severe, there is no way that you will be able to train the dog otherwise. In a few cases, a greyhound (like any other dog,) does not tolerate young children very well. This must be evaluated before bringing your dog home as well. Your adoption group will be able to help you with this. It is extremely rare to find a Greyhound that is aggressive. A common misconception is that Greyhounds need a lot of exercise. They tend more towards being very lazy than energetic - far from hyperactive. Because they don't need a lot of exercise or room to run, they make great pets for everyone whether you live in the city or the country. Regardless of your location, they must always be on leash unless they are in a completely fenced in area. Chasing animals has been bred into them for centuries and they will take off after another animal that they spot outdoors. When they are in "hunting" mode, they have no recall and will be out of sight within seconds. 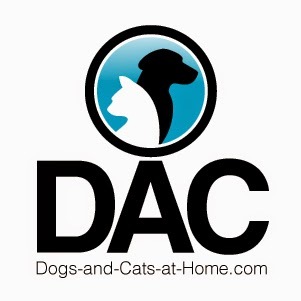 They are very trusting and friendly to just about everyone they meet. Joanne has "been owned" by greyhounds for many years. Having had a great deal of experience with Greyhounds, she has a lot of valuable information and insight into this wonderful breed of dog - and dogs in general.